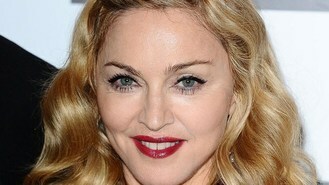 The pop star, 53, sparked controversy when she asked "how many people in this crowd have seen Molly? ", which is used as slang for the drug MDMA or ecstasy, taken by some dance music fans. Dance DJ Joel Zimmerman, known as Deadmau5, branded the singer an "idiot", writing on his Facebook page: "Very classy there Madonna... such a great message for the young music lovers at Ultra. "Quite the ... philanthropist. But hey, at least you're hip and trendy! F****** can't smack my head hard enough right now." The Canadian DJ added: "You're a role model to hundreds of millions. You have a powerful voice.... use your positive influence, not 'Molly' talk." But Madonna, who has just released a dance-music album called MDNA, later took to Twitter to deny that she was referring to the drug. Posting a picture of herself wearing Minnie Mouse ears, she wrote to the DJ, who performs while wearing a plastic mouse head: "From one mouse to another. I don't support drug use and I never have. "I was referring to the song called Have You Seen Molly written by my friend Cedric Gervais who I almost worked with on my new album." When the DJ wrote "respect for clearing it up personally", the Queen of Pop added: "Communication is always best. You should have called me first, we could have cleared it up 'privately'. See you on the road." The DJ wrote back: "Sure. regardless, just be a little more aware of what you should represent ... and I'll watch my mouth."